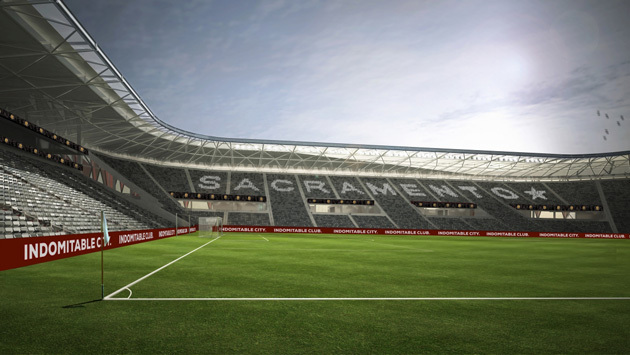 Sacramento Republic reveals the new stadium renderings ahead of MLS commissioner Don Garber's visit to the expansion city hopeful. With MLS commissioner Don Garber making a visit to town on Thursday and its push for an MLS expansion team continuing to go strong, USL's Sacramento Republic FC revealed new renderings for a potential MLS stadium on Wednesday. Sacramento plans to build the venue at the downtown Railyards, where it aims to take off as part of the next wave of MLS expansion. Following the league's growth to 24 teams following the addition of Atlanta United FC, LAFC, Minnesota and David Beckham's project in Miami, Sacramento has been touted by Garber as a leading candidate for the following group, along with St. Louis. 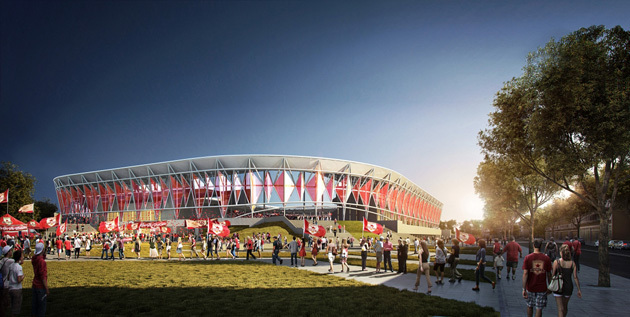 Sacramento had revealed its most-recent renderings in December, a big step in its self-proclaimed "Operation Turnkey," for which the objective is an MLS franchise. The new renderings are centered on the supporters sections, where the club says it is being influenced by the "Hinchada" concept, a South American term used to describe the passionate nature of the home fans. NEWCOMB: Why do stadium renderings frequently change? Sacramento will host Garber starting Thursday, putting on a block party that is open to the public at 11 a.m. local time.